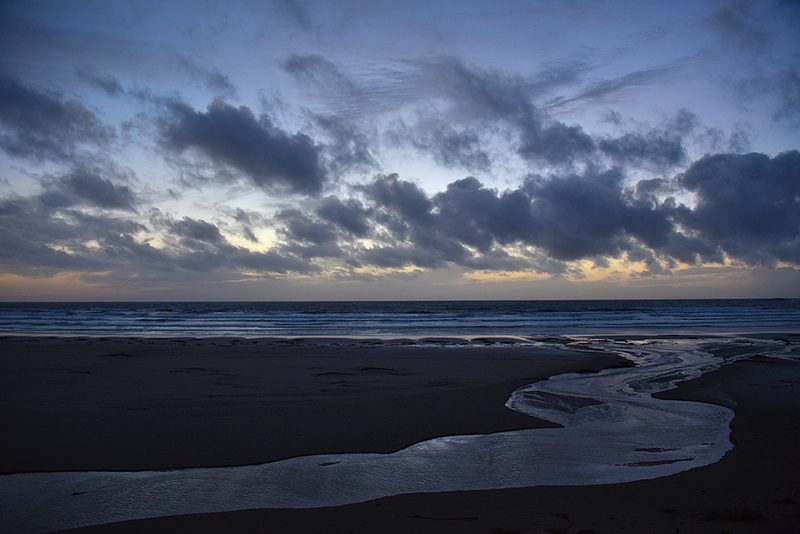 A November late afternoon / early evening on the west coast of Islay, in Machir Bay. The last light during the gloaming is only just illuminating the beach and Allt Gleann na Ceardaich flowing across it into the Atlantic. This entry was posted in Beaches, Cloudy Weather, Landscape, New Post, Night, Sunny Weather and tagged Allt Gleann na Ceardaich, Islay, Kilchoman, Machir Bay, Rhinns of Islay by Armin Grewe. Bookmark the permalink.